Mayor Peter Christie is accepting applications to fill an anticipated City Council Ward 3 position vacancy. Christie on May 22 received the resignation notice of Council Member Brian Bahr. The vacancy is anticipated to be effective after an official vote of the City Council at the next regular meeting June 25. Bahr is currently an active duty member of the Arkansas National Guard and has upcoming commitments that will hinder his ability to regularly attend City Council meetings. “I wish to thank Brian for his service to our community through both the City Council and the National Guard,” Christie said. The council must vote to accept Bahr’s resignation and declare a vacancy in the Ward 3, Position 2 seat. According to Arkansas Code 14-43-411, a successor will be chosen by a majority vote of the members of the Council, since the unexpired term is less than one year. Bahr’s term is set to expire at the end of 2018. The successor’s term will also expire in 2018, so he or she would need to run for re-election to continue serving in that position following expiration. 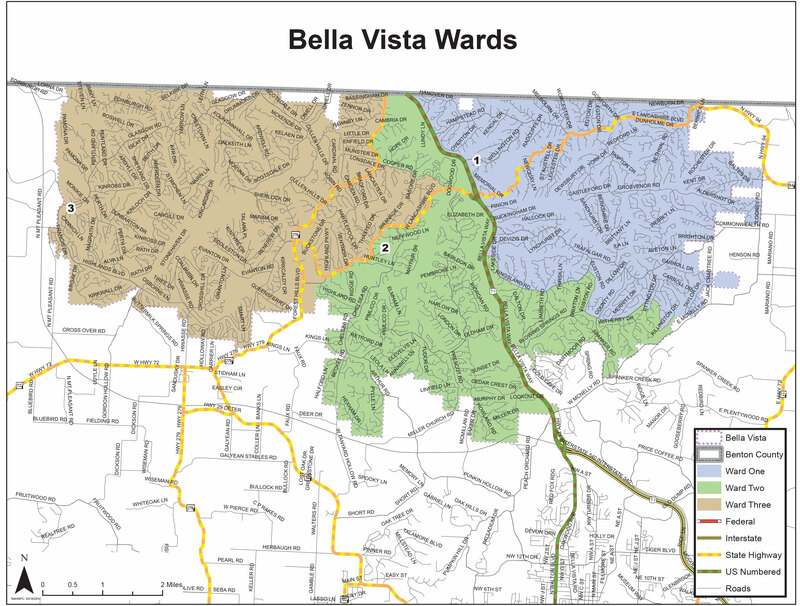 Candidates must live in the ward represented. Ward 3 is the western portion of the city and can be viewed online here. Candidates must also be at least 18 years of age, a legal U.S. citizen and an Arkansas resident. He or she must be registered to vote and must have never been convicted of embezzlement of public money, bribery, forgery or any other infamous crime. Council members typically attend one work session and one regular meeting per month, usually at 5:30 p.m. on the third Monday and at 6:30 p.m. the fourth Monday respectively, but are also subject to attending special meetings on occasion. Their actions and activities as council members are subject to the Arkansas Freedom of Information Act, and meetings are open to the public. Applicants should send a letter of interest and resume to Mayor Christie by email at pchristie@bellavistaar.gov, or mail or deliver them to City Hall, 101 Town Center PO Box 5655, Bella Vista, AR 72714. Deadline to apply is Thursday, July 5. Applicants will be notified the week of July 9 if they have been chosen to be interviewed during the work session on Monday, July 16. Council members will vote on the successor at the regular meeting Monday, July 23. The appointed candidate will begin as Council Member in August, with the first meeting to attend being the work session August 20.